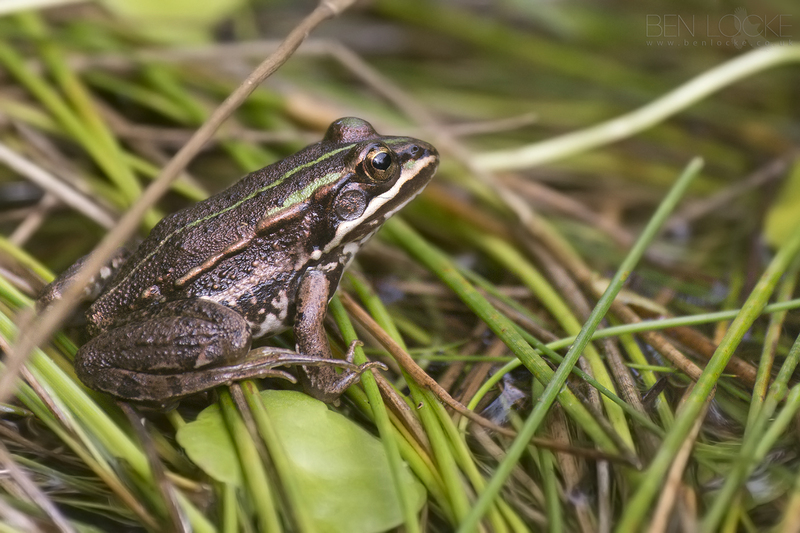 This Pool Frog was photographed at an undisclosed site in Hampshire. They are particularly rare, once presumed extinct. Small ponds adjacent to woodlands or in meadows are the preferred habitat although the Pool Frog may inhabit larger ponds if in a mixed population with edible frogs.